A huge well done goes out from the team at IVE to the 18 new Artsmark schools, making 62 schools in Yorkshire & Humber with an Artsmark award. We’d like to thank these schools for their superb work in delivering excellent arts & cultural education for their pupils and working to continually improve the quality of their arts provision. An Artsmark award represents a terrific achievement at any level, demonstrating a commitment to providing high-quality arts and cultural opportunities for all pupils and for working to improve how the arts are taught and viewed in schools. We reached out to Caroline Skipper, the Headteacher at St Nicholas Primary School, for her thoughts about achieving the Gold award. 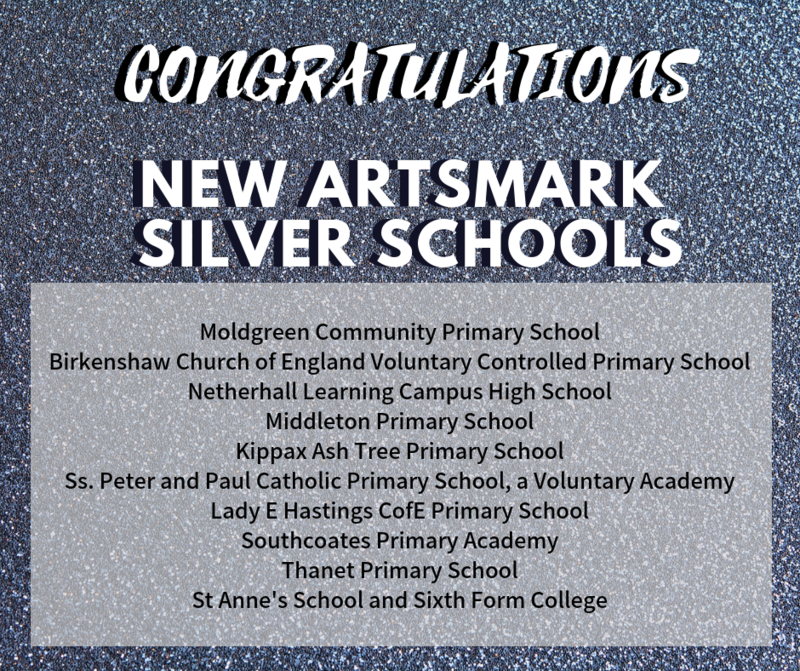 “We are thrilled that St Nicholas has achieved the Arts Mark Award, especially at the Gold level. Our thanks go to the many people who have helped us achieve such a wonderful award from the Arts Council, England. It is such a highly prized accolade because it celebrates the use of the arts to develop confidence, critical thinking, creativity and imagination of our children. 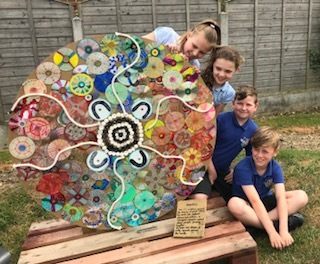 The process of achieving the Arts mark has not only improved our children’s skills and knowledge but has raised the quality of teaching and learning and the environment. Natalie Oldroyd, the Assistant Principal at Estcourt Primary Academy had this to say. 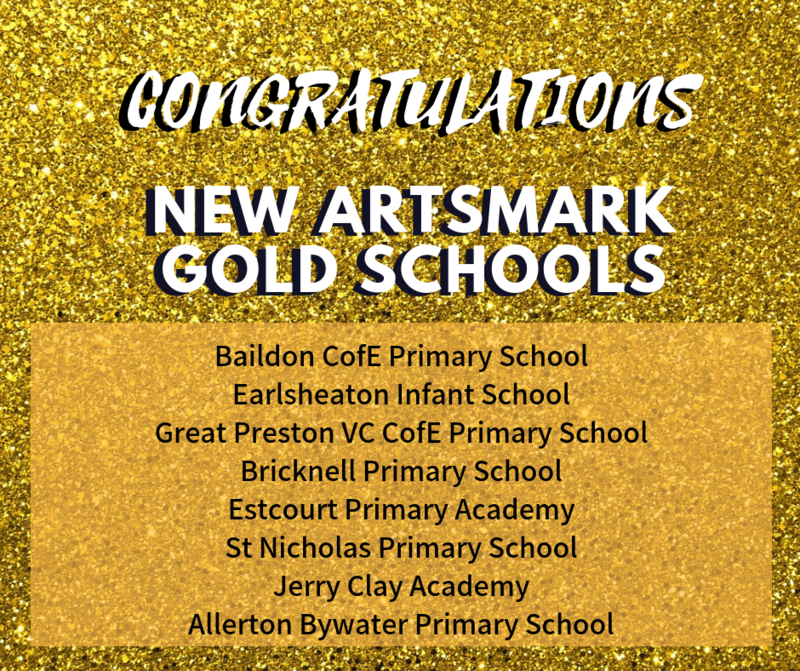 “At Estcourt we are absolutely delighted to have received the Gold Artsmark Award. During the last two years, we have taken a real journey embedding the once stand-alone ‘Art’ into the ethos of the Academy. We have become firm believers that by promoting the arts and providing the opportunity to experience art, pupils develop their self-knowledge, self-esteem and self-confidence. 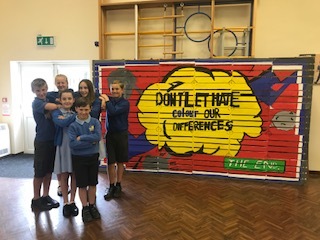 We would like to give special thanks to Mr Ullah as the leader of Arts at the Academy for driving improvements across the curriculum, establishing long-term links with many external organisations including Creative Briefs, Dinostar, Window Wanderland, Digital Arts and Sewells and many others. Artsmark is a creative quality standard that serves as a practical and valuable tool for enriching a school’s arts provision. It has been designed by schools, for schools, to align with School Improvement Plans and give the curriculum breadth and balance. Artsmark schools make a commitment to providing high-quality arts and cultural opportunities for all pupils. They use the arts to inspire learning and develop happy, successful and confident children and young people. 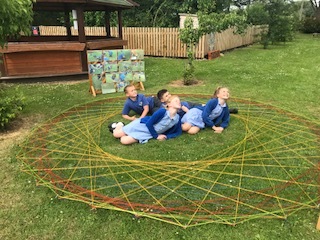 In Yorkshire and the Humber, they are supported in this objective with guidance and advice from us as their regional bridge organisation and other Artsmark schools through regular networking events. 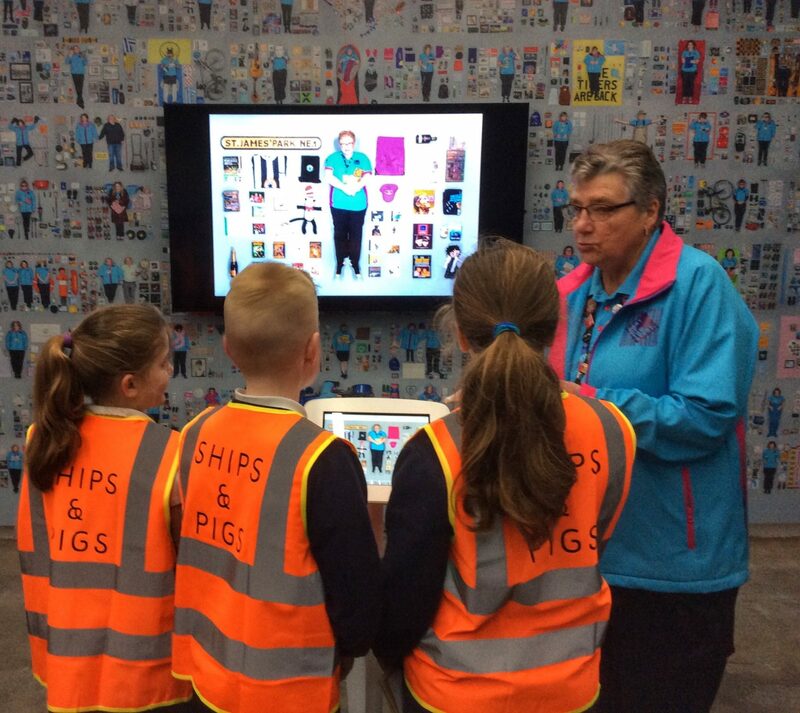 They also receive resources, FREE CPD sessions and access to special offers and discounts from arts organisations. If you’re interested in joining the Artsmark scheme you can learn more on our Artsmark page. We’ve also compiled a number of case studies of the different benefits Artsmark can have for schools.